I've come to the realization that just about every rapper I listen to has been a guest on a Gorillaz track at some point in their career. Well, my thanks to you, Damon Albarn, for turning me onto musician/producer MF Doom (who is now going simply by DOOM). You might know him as the guest MC on the Demon Days track "November Has Come", but the guy has been making a name for himself far before he hooked up with the world's coolest fake band. This Tuesday will see the release of his newest solo album, entitled Born Like This. 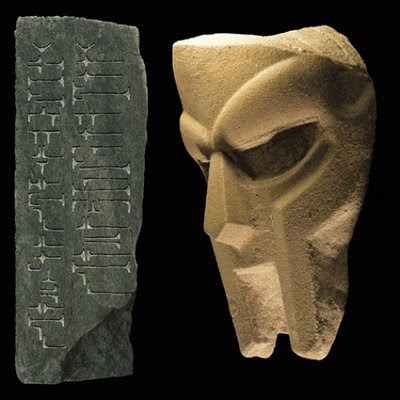 Doom is currently streaming the first few minutes of every track on his MySpace page, so head over there and take a listen. From the sound of it, this album joins the already formidable pantheon of great records this guy has put out (My suggestions for immediate listening include Take Me To Your Leader and Mm..Food?). Doom is a guy who truly bends the genre to his will, and this record is a tour de force showcase of both his lyrical and production skills. Check it out, and enjoy the rest of your weekend!